Get real world guidance and advice from negotiation and procurement pros that you can turn into money-saving strategies for your next contract negotiation or rate review. Our new agenda is loaded with dozens of sessions providing front-line tips and tactics to help you set realistic spend commitments, dodge killer contract clauses, avoid technology dead ends, deliver superior service for your users and realize hard dollar savings for your enterprise. 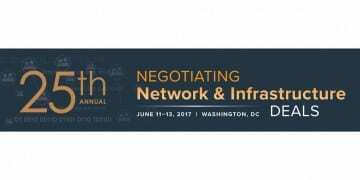 Register today at www.telecomnegotiationconf.com to secure your seat and get the skills you need to negotiate a world class network and infrastructure deal for your enterprise.